I am a proud Brit; I hang my union jack flag at any opportunity, I will cheer for Team GB in basically any sport going and over the last few weeks the horse world has just made me even prouder. Just over two weeks ago, we took our annual pilgrimage to Badminton Horse Trials. I make no secret that I am not the biggest eventing fan but Badminton has definitely become a not to be missed event in our calendar. This year, we had to bow down to the Germans (not something I enjoy doing or approve of!) but superstar Michael Jung and La Biosthetique-Sam FBW jumped a superb clear round in the final Show Jumping phase. 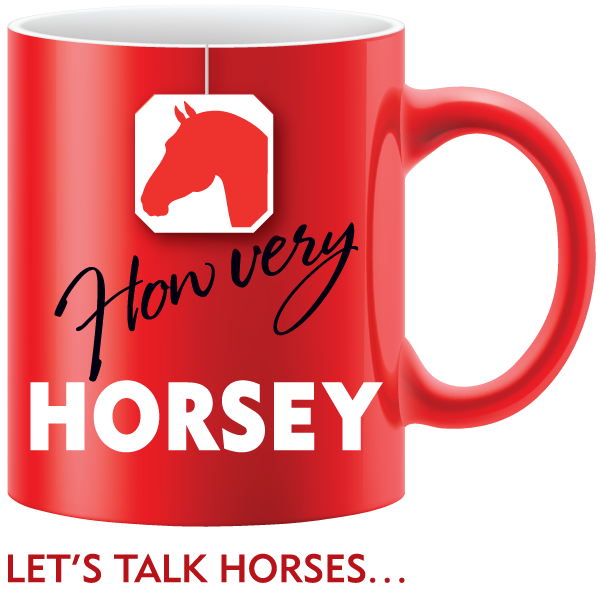 He won not only the Mitsubishi Motors trophy, but also the Rolex Gram Slam for consecutively winning Burghley, Kentucky and Badminton. His final score of 34.4 was the lowest ever finishing score recorded to date. But the show was not just about the horses – walking around the stands in the beautiful sunshine everyone had a smile on their face. 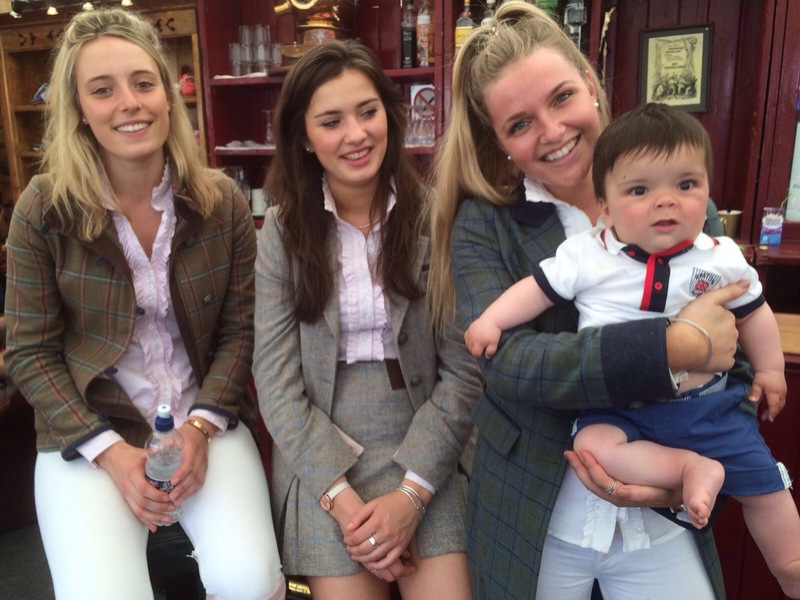 Little Joey met his first Dubarry girl and seemed as taken by them as my husband. I was happy as I got to sip on my favourite Pol Roger and lovingly look at tweed. I had picked my outfit for Badminton based on Dubarry’s best dressed competition but the boots and tweed didn’t appeal with the unexpected heatwave. We tried chutneys, fudges and cheese from some great local producers and lots and lots of gins (no, I wasn’t driving!) Warner Edwards was a new gin find for me – delicious! And then at lunchtime we sat with a Sipsmiths cocktail and chatted with strangers. One very special lady came to sit with us, as she snuck in a hog roast before the top runners “faced the arena”. She had come to Badminton for many years with her husband and since his death she travels up from Devon for the show every year as she “likes to spend time with the people that knew him and at the places he loved”. She was such a lovely lady and I was glad to have met her. The following week, I was off to Royal Windsor Horse Show and Britain changed its mind about being summer and the rain returned. Yes getting up at 4.30am to get to Windsor to be told the classes would not be happening was not the best, yes being stuck for 3 hours because I couldn’t leave wasn’t the most fun, yes my hair, mascara and white jeans were ruined – but fair play to the show team. We wouldn’t be Brits if we couldn’t face a bit of adversity with a joke or two! Special mention must go to Philip Judge and his incredible team who did a ridiculously great job in the flooded lorry park and all with a smile on their faces. And also to the Aunt who had worked super hard to be ready for her dream of riding in the Hunters at Windsor and although obviously disappointed still went away positive – sometimes the journey is as important as the destination. And the final thing to make me proud to be British – the amazing person on twitter who commented there were too many horses in the Queen celebration filmed at Royal Windsor HORSE show. Thank you Badminton and Windsor – I will be back next year, sunscreen and wellies at the ready because that is how us Brits roll.